When will we again see a City Council? 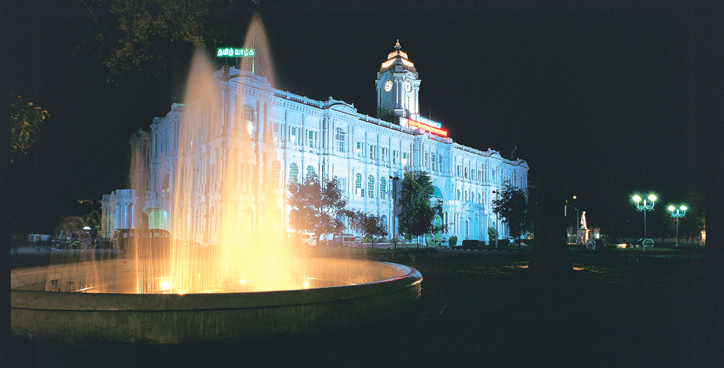 Ripon Building, home of the Corporation of Madras: When will it see an elected Council again? Strangely enough, two years ago, when the elections fell due, it was the Opposition that did not want then. This despite the local administrations under the present party in power not having performed much and therefore standing very little chance of a re-election. The Opposition took the matter to court, querying the hurried announcement of dates, irregularities and law and order problems. The Courts had obligingly stayed the elections. 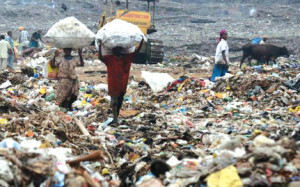 The mountains of waste challenging the ragpickers. It needed World Environment Day to awaken us to the dangers of accumulating plastics in our surroundings. Discarded plastic clogs our waterways and stormwater drains, artificially flooding our neighbourhoods. Landfills are rising higher and higher with dumped plastic posing a serious health hazard. Recently, in Patna vets removed 80 kg of plastic from the stomach of an infected cow. Annually, around the world, nearly 13 million tons of plastic waste is dumped into the seas affecting marine life and endangering marine species. Are the thousands of schools, colleges, and universities in India equipped to cultivate competence, abilities, and capacities to meet new and emerging opportunities and challenges? The answer is ‘No”. So what is wrong, and what is the remedy? Yesterday’s educational system will not meet today’s, even less so, the needs of tomorrow,” said Professor Daulat Singh Kothari, Chairman of the 1964 Education Commission, presenting his report to the Union Government over half a century ago. Kothari’s words sound prophetic today. My weekends in August are super busy. The mornings are for Madras Day walks. One evening, I went on my sixth – guiding a group of architecture students around Fort St. George. Fellow-traveller Hemchandra Rao, a historian and philatelist did not shy away when I suggested two tours – one of the Old Bridges of the city and one on his favourite subject of study, Buckingham Canal. The first Canal tour had a big response and so we repeated it. That Sunday was pleasant and we decided to retire to Saravana Bhavan on Mount Road for a slow breakfast after the tour. Rao is a busy bee and we are already working out the details of the Buckingham Canal tour of the Palaverkkadu region (Pulicat) – which allows you to appreciate the linkages between this Canal and rivers that flow eastwards, the unique eco-system of the Pulicat lake and the Canal’s life on the boundary of the neighbouring state. Luz Church 2nd Street, that was once Amjad Baugh. In the early 1900s, a Mylapore vakil‘s success was estimated based on his address. The beginners and those who were forever fated to remain in the bottom-rungs of law resided at Chitrakulam. 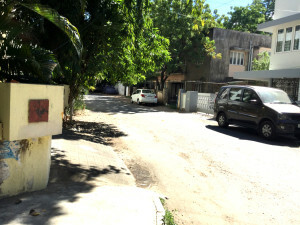 Greater prosperity meant moving into Nadu Street. A fairly large practice saw them taking up residence at Pelathope and North/South/East Mada Streets.